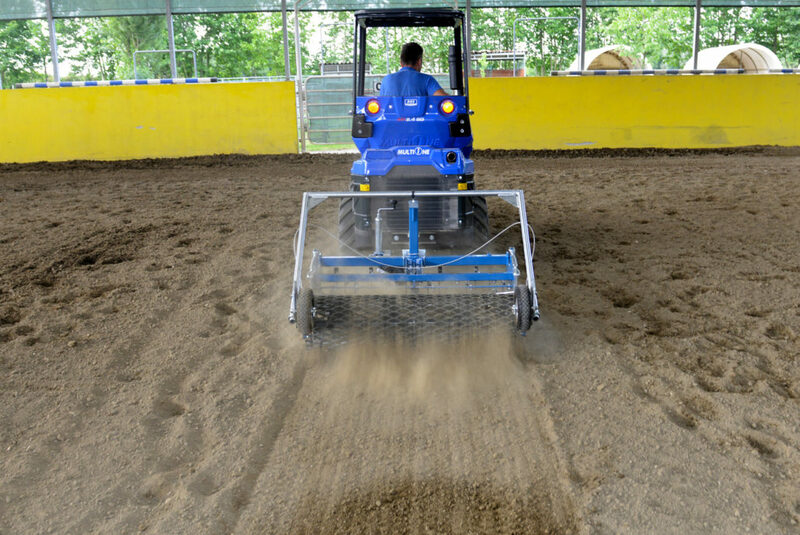 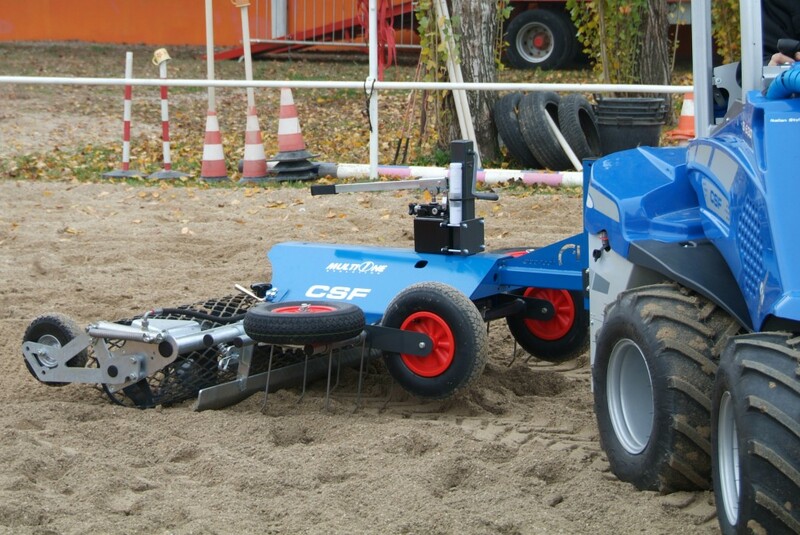 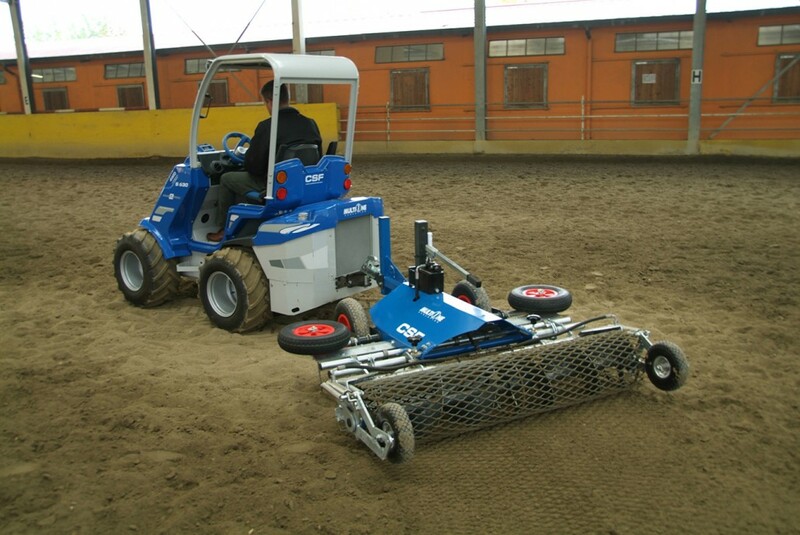 The horse arena harrow is designed to smooth and level sandy or mixed media horse riding surfaces. 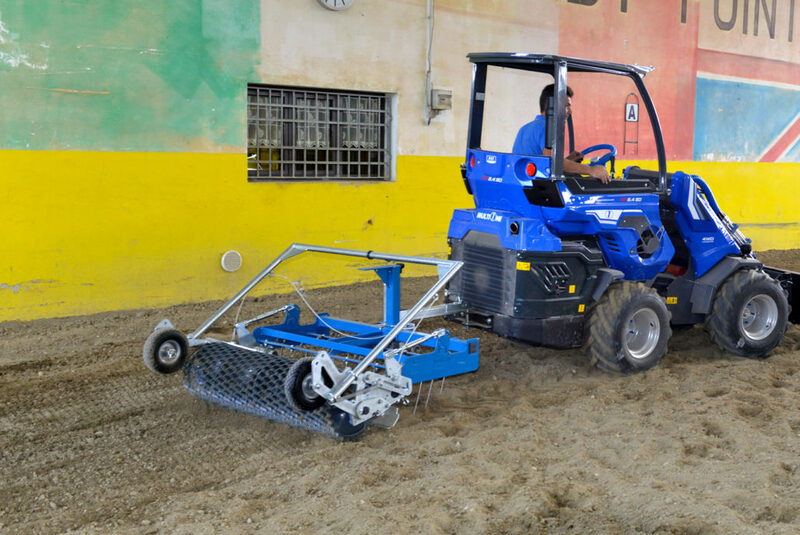 The harrow features multiple processes, beginning with the two sets of spring tines to break up the surface, a leveler to smooth and level the surface, and the compacting and spreader auger roller assembly that finishes the surface. 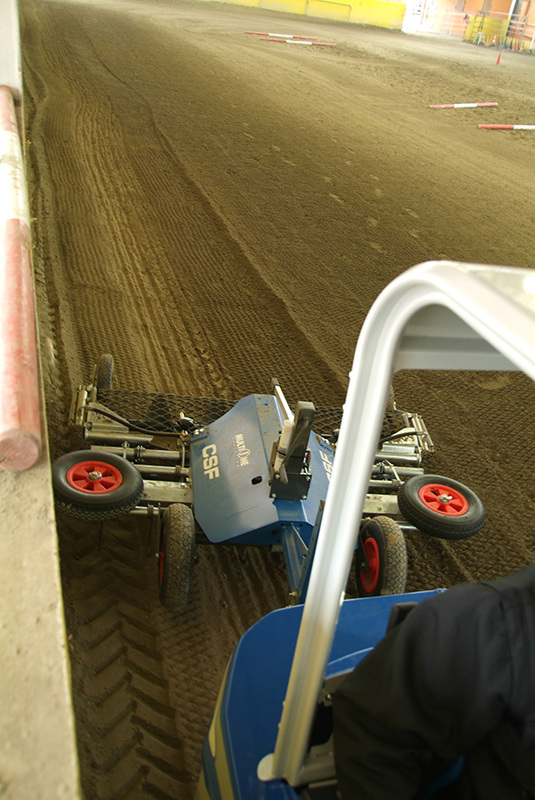 The harrow also has side wheels that enable working along walls with no damage. 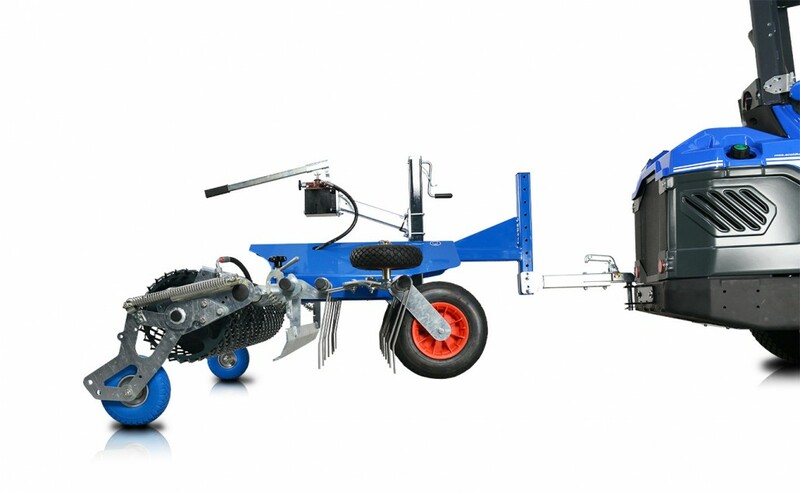 Easily made adjustments enable weight and balance adjustments between the spring tines and roller/spreader assembly. 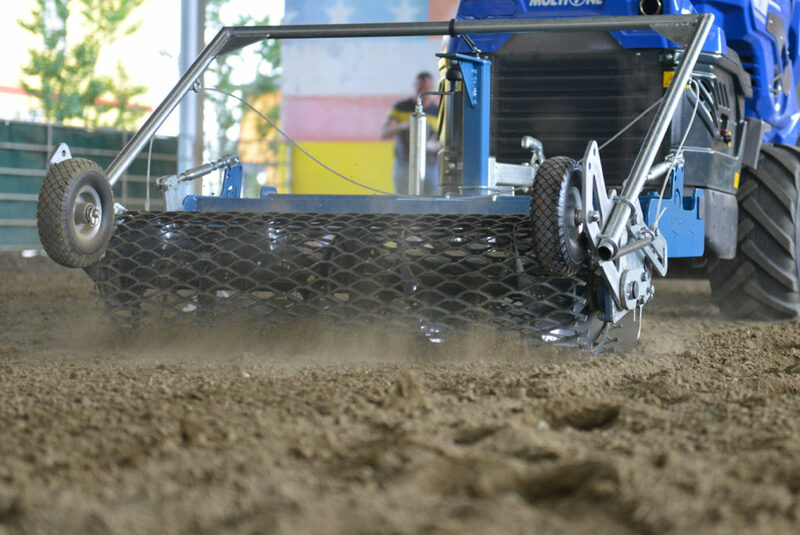 Height adjustments to enhance processing difficult soils are made quickly and easily.